Although the English king tried to wrest it away, the Highland Targe—ancient relic and protector of Scottish lands—still lies safely in the hands of clan MacAlpin. 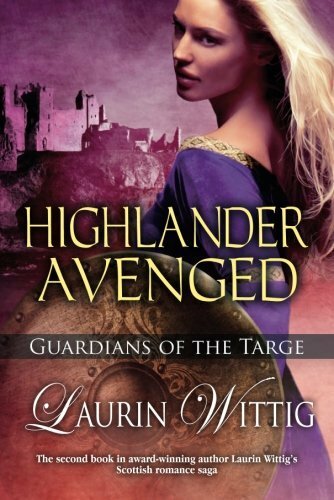 But for how long?­Jeanette MacAlpin trained her entire life to become the next Guardian of the Targe, but that duty has now fallen to her cousin Rowan—a duty Rowan can’t seem to master. Fearful for her clan’s future, Jeanette seeks the solace of a sacred wellspring, and there encounters tawny-­skinned Highland warrior Malcolm MacKenzie.­Wounded in battle, Malcolm is desperate to regain the use of his sword arm and strikes a deal with Jeanette. In return for her skills as a healer, Malcolm will advise the MacAlpins in their resistance against the English. And when he can once again swing a blade, he’ll return to the ranks of the Scottish army to fulfill his duty as a soldier.­But as passion grows between the golden warrior and the fair-­haired healer, duty collides with love. Will they follow their hearts, or will clan . . .